Friday night was the coldest night in Kashmir this season. But it was no excuse for those ardent writers who were determined to attend a one day workshop on ‘writing skills’. Students set off early, travelling across the city ends and reaching Nowgam Camus of the Central University of Kashmir; this being the first task—because it was a holiday and everybody wanted rest. 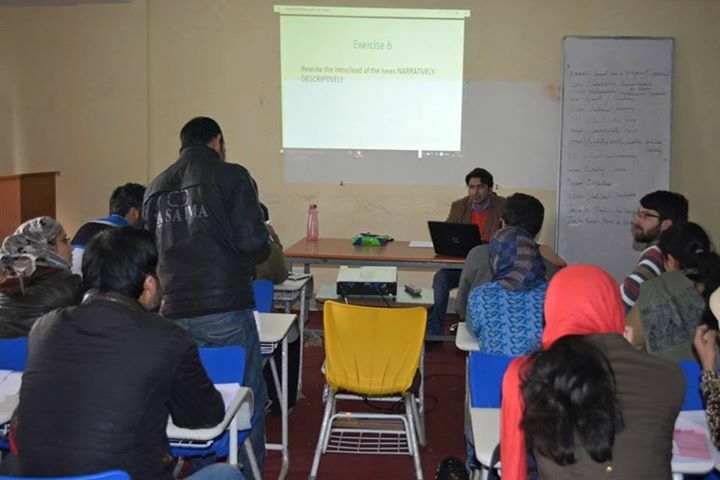 A total of 40 students participated in the writing workshop organized by Novelist Shahnaz Bashir. The workshop was open to present students of journalism, alumni and every aspiring writer—an engineering student even attending. It began at 11 am sharp with a half hour session which had an interesting component of writing random lyrics starting with “It doesn’t rain but I still want to say…” The time limit was 3 minutes. Amid chilling temperatures all participants were served a hot cup of tea along with three biscuits during a fifteen minute break. The break also served as reunion time for alumni who had joined the workshop late. They chatted, interacted, loved and a few smoked. Resuming the post-tea session, a diagnosis was carried by the resource person, Shahnaz Bashir about the factors that hamper smooth writing in participants. The reasons that came to fore included lack of knowledge, problem in grammar, less vocabulary, less confidence, lack of ideas, lack of patience, fear of writing, language problem, self criticism, where to begin, lack of interest and lack of mentor. Highlighting the components of writing, Shahnaz Bashir divided them into four: Imagination and Freedom, Experience and Memory, Observation and Consciousness and Knowledge and Philosophy. He showed the relationships between each component and asked students “what do you observe in this classroom?” The answers he received were interesting: I observe dandruff on a bench-mate, said a skinny girl with elongated face and tilted nose who was only fiddling with her cellphone when asked the question. This made the whole class jolly for a moment and the boy cursed the department of electricity for his dandruff, that didn’t repair the transformer of their locality for two weeks. Another participant observed two colors of the screen (project) which was actually difference in paint. Up to the end of this session, the canteen incharge had already made two visits—inviting us for a hot lunch. All participants gluttonously consumed chicken Biryani. When the amount of rice was found less on plates, Shahnaz Bashir gave a right bollocking to the canteen incharge who then provided those an extra amount. Post lunch session, only one student left. Now lessons about fiction, non-fiction and poetry were discussed. “Poetry is the highest form of expression of witting which comes into being when all other forms fail,” Shahnaz said. All participants were asked to prepare an intensive questionnaire. A few prepared it for the Chief Minister, DGP, daughter of domestic violence victim, etc. In the end, all participants returned their feedback forms. “If I could have submitted the feedback form, I would have written this; From now onwards, I will read the reading or I will never be a writer, as for writing I need reading and to write ‘cat’s feet’, I need to read what has been written. To write well I need to read well and reading well starts and ends with listening. (Thank you). Your every lecture is a book itself. Thank you very very much for today and yesterday and the day before yesterday ——- long back from last year’s September, when we joined. Thanks scientifically,” reads another feedback from Danish Wani. Before departing from the campus, participants took a group photograph with four girls standing in front of an iron fence and front façade of the Central University of Kashmir’s rented building which has recently been colored. Shahnaz Bashir spent his whole holiday among these aspiring writers, teaching them writing and life. He didn’t charge a penny from them, which otherwise would have cost Rs 500 per day in a writing workshop. He gave all participants tea and a hot lunch. The author has a specialization in literary journalism and reports on conflict, politics, urban development, rural development, education and environment in Indian Administered Kashmir. 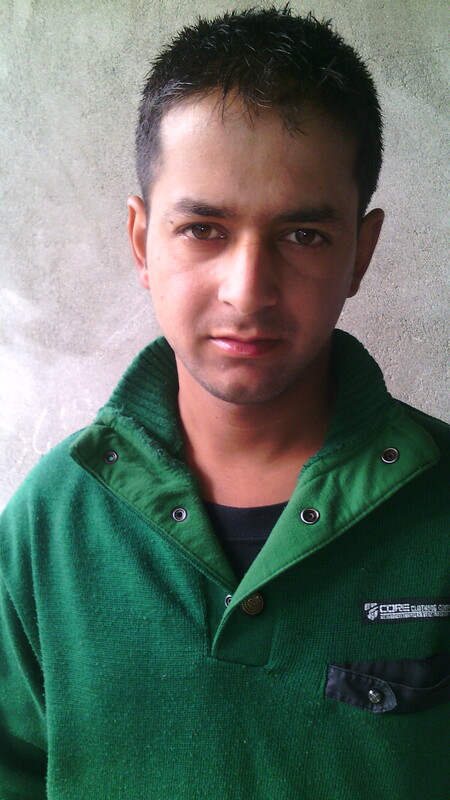 You can read his stories onwww.irfanrashidjournalist.wordpress.com and can follow him on @irfan_kashmiri.